Red wine can come in many different shades of red; from ruby to orange and purple to blue/black. It can be light and fruity or dark and heavy with a range of aromas. They can have acidic, harsh and dry astringent tones in their taste. Because of this red wine can be the most difficult acquired taste in the range of wines available but they can also be the ones with the highest degree of individual character and personality. Common aromas and tastes include: blackberry, cherry, cinnamon, clove, cocoa, coffee, currant, fig, gooseberry, leather, liquorice, pepper, plum, raisin, raspberry, strawberry, toast, tobacco and violet. A complex wine may exhibit a dozen of more of these, starting from the first sniff, to the last taste. The grape skins are left in with the grape juice during fermentation which imparts their color to the wine. This also results in a high level of tannin being given over to the wine. Tannin is a natural substance found in many fruits (not just red grape skins) and plants (e.g. Tea). In red wine the tannin is odorless but can be tasted: This is where a high level of dryness and puckering is caused in the mouth, making it feel “coated”. During production the correct balance of tannin is vital to adding a rich complexity of taste (if the balance is wrong, the wine will be harsh and biter. For the tannin to mellow, a longer maturation is required by aging the wine for longer periods. 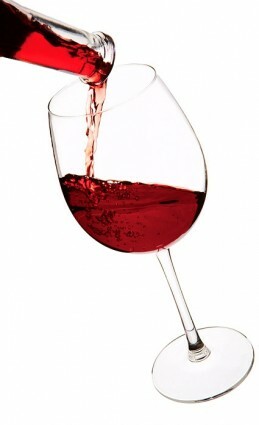 Light-bodied red wines have fewer tannins and less of a presence on the palate, an almost water like feel in the mouth. A classic example of this is the French Beaujolais Nouveau, which comes from the Gamay grape varietal. 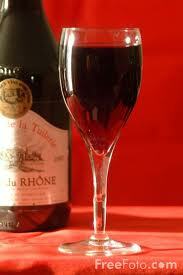 Full-bodied red wines, by contrast have high tannin content and the “mouth feel” is much heavier, much like milk. Classic examples are French Bordeaux and Italian Tuscan wines. Recent years have seen Californian Cabernet Sauvignon wines gaining strong credibility in this august throng. Full-bodied wines will often have a higher alcohol content than lighter bodied wines. Medium-bodied red wines fall mid way between light and full-bodied wines. Examples include: Chianti, Merlot and Shiraz. Generally speaking the darker the wine, the higher the tannin content and the bolder the taste. As red wines often have these bold and individual flavors, they tend to compliment flavorsome foods and are designed to be drunk with food. This does not mean you can not drink it by itself; it just increases the dimensions of its flavors when paired with suitable foods.